We gave the beauty mogul a video camera one morning. Here's what went down. 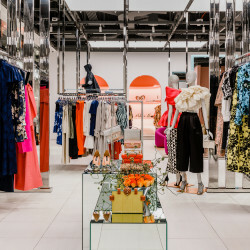 An occupational hazard that happens all too frequently: in an attempt to Coveteur as many people as humanly possible in one day, we occasionally start, um, early. And with that, comes seriously sleepy subjects—not that we're actually morning people either, or anything. Turns out when it's in the case of Michelle Phan, the only solution, naturally, is to hand the YouTuber a video camera so she can document the whole getting ready thing for us. And then tell us exactly how to look that bright-eyed-and-bushy-tailed in under 10 minutes. Because like Phan, we've been there. "If I’m doing a smoky eye, I’ll do my eyes first. If I’m doing a beautifully lined dark lip, I’ll do that first. The very last thing I do is apply mascara. It’s the final touch, like setting your hair with hairspray. 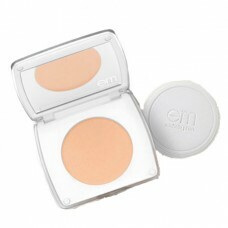 And my em Concealer Palette – I use it to spot-treat discoloration around my eyes, lips, and nose. It comes with six hues that you can mix to conceal, highlight, and neutralize." "I can't live without my em Shade Play Color Mixing Concealer Palette—I use it to spot-treat discoloration around my eyes, lips, and nose. 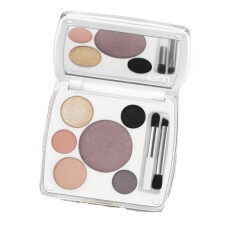 It comes with six hues that you can mix to conceal, highlight, and neutralize. And even if I'm not wearing much makeup, I always wear mascara. I love the definition it gives to my eyes." "I have my pre-flight routine down. I pack my carry-on bag with goodies that will help the hours pass and prevent me from hauling more bags than necessary onto my next flight. Depending on the duration I might throw a neck pillow and scarf into my bag. I also always a Passport Cover – I use a bright colored cover to protect my identification, and so it’s easily accessible when I’m walking through TSA. Cosmetic Bag—if I’m meeting that special someone at the airport or I’ve taken an overnight flight, I’ll want to freshen up before getting off the plane. I bring a cute cosmetic bag to carry my beauty essentials. If you need tips on how to get a refreshed glow post-flight, watch my video Travel Friendly In-Flight Beauty Tips! 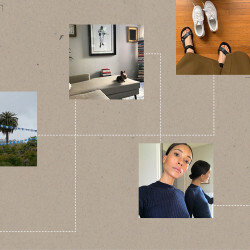 Socks—if I’m wearing sandals or heels, I might struggle with cold feet on the plane, so I pack a pair of socks to warm them up and allow me to better relax sans shoes. And an eye mask—some people will stay awake and let their overhead lights beam throughout the plane on overnight flights. I bring an eye mask to create total darkness and get the rest I deserve!" 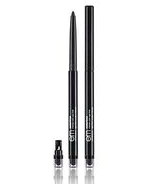 "Take a good black eyeliner, like my em Waterliner, because you can use it for anything and everything, even lip liner. You can use it as mascara by blasting it with a hair dryer until it melts, then use a spoolie brush to comb it through lashes. 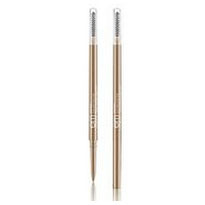 You can also use a hair dryer to turn the pencil into a gel liner, and an ombré gradient eye shadow—it thins out the texture of the eyeliner, so it creates a gray color, and then you can work your way up to black shadow."